Within the framework of the project bike + business RV-K advices companies on workplace cycling promotion. The project is initiated and managed by the German Cyclist’s Association Hessen (ADFC) and the Regional Authority FrankfurtRheinMain (Regionalverband FrankfurtRheinMain). For more information about the project please visit the official homepage (in German). RV-K takes part in the program to promote sustainable mobilty set up by GIZ, the German Corporation for International Cooperation. For more information about the program please visit the official homepage. IT-GIS offers solutions on the field of geobased IT-application. Almost all companies and public institutions which deal with the development, collection or processing of spatial data use geographic information systems. Often, the processing procedure is time intensive and complicated. IT-GIS develops programs which on the one side facilitate and accelerate the data entry and on the other hand standardize the output data and enable the graphic processing with regard to the targeted purpose. The aim is a completely automated process which minimizes the input and processing effort. Based on the IT- and GIS-knowledge of its employees, IT-GIS guarantees customized solutions which ensure a smooth interaction between application and geodata management. The range of services is completed by applications for web-based communication and participation which can be used for intra-company purposes as well as for the external information exchange between citizen and administration. The 1987 founded planning office von Mörner is led by Prof. Dr.-Ing. Jörg von Mörner (until fall 2011 together with Dipl.-Ing. Harald Jünger). Additionally up to ten employees are engaged at two locations to work on traffic related issues with expertise and modern equipment. The planning office von Mörner focuses on autonomous planning accomapied by a broad and continuous advisory service for its clients. Partner for visualizationDipl.-Ing. 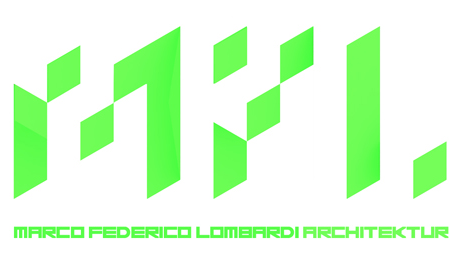 Marco Federico Lombardi is an independent architect settled in Frankfurt am Main. His focus is put on outline planning as well as the visualization of traffic related measures. The cooperation with MFL-Architektur allows the clear illustraion of diverse and complex issues.